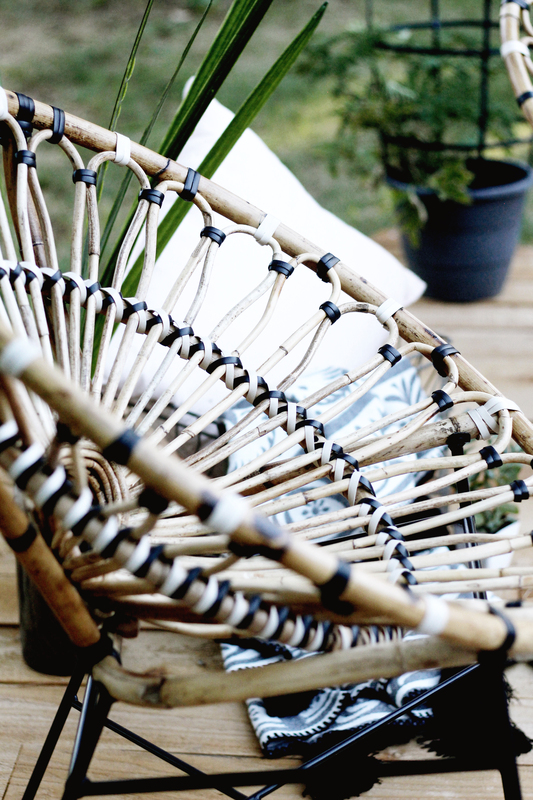 Article’s new outdoor collection is modern, high-quality at a fair price. 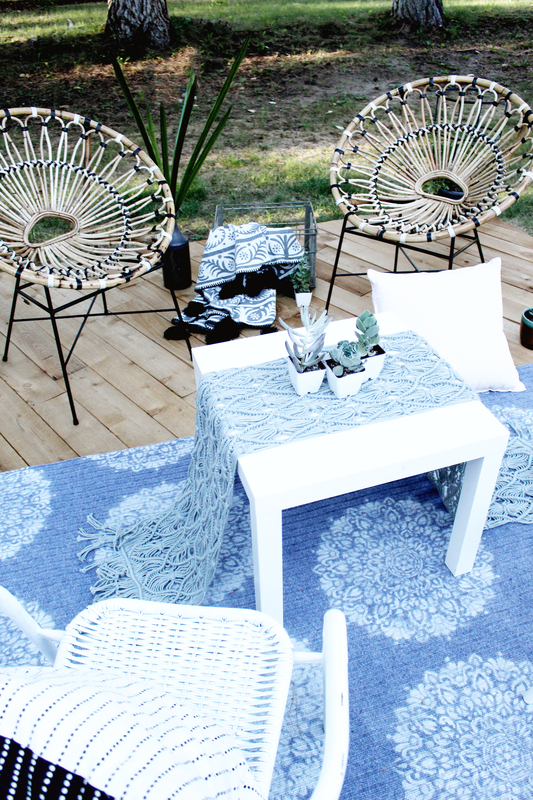 Our new floating deck features Article’s Daisy Lounge Chair from the collection to create a relaxed, bohemian vibe. Ever since we moved into our house, I have had the dream of a deck. We have this grassy space right outside the sliding glass doors to our living room that is perfect for a deck but up until about 2 weeks ago, it was just looking really ragged and empty. Last year, I dreamed up a floating deck for the area but knew even at the time that it would not happen that summer, there were too many other projects to finish up! Honestly, I didn’t think it’d ever happen. But, suddenly, all the pieces aligned this summer and I decided to just go for it! I’m excited to share more about this DIY deck in a couple weeks. I want to give it some time and use before I share how I built it, to see how durable it actually is. In that time, I’ll be testing it out by hanging out in my new outdoor seating area featuring possibly my most favorite chairs I’ve ever seen! Meet the Daisy Lounge Chair from Article. Seriously if these aren’t the perfect mix of classy yet modern, durable yet gorgeous then I don’t know what is!! Somehow they seamlessly go with every type of decor: Midcentury. Minimal. Bohemian. They go with neutrals and bolds, pastels, and rainbows. 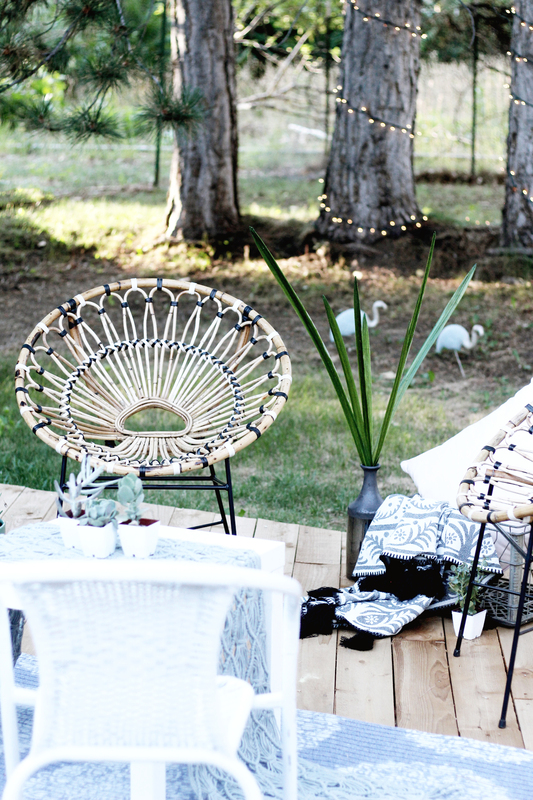 I could literally incorporate these chairs into every party I’ve ever thrown and there has been a WIDE array of styles there! In fact, since I’ve had them I have already incorporated them into a party and I must say, it pulled the whole thing together! Truly, I’m feel conflicted about leaving them out on my deck, as I want to put them into every room of my house! Which is the awesome thing about the Daisy Lounge Chair, it can be indoor or outdoor, like most of the pieces in Article’s expanded outdoor collection. Article just got a whole bunch of new stuff added to their outdoor collection, including their first ever range of outdoor sofas. Which, no surprise here, are all gorgeous! 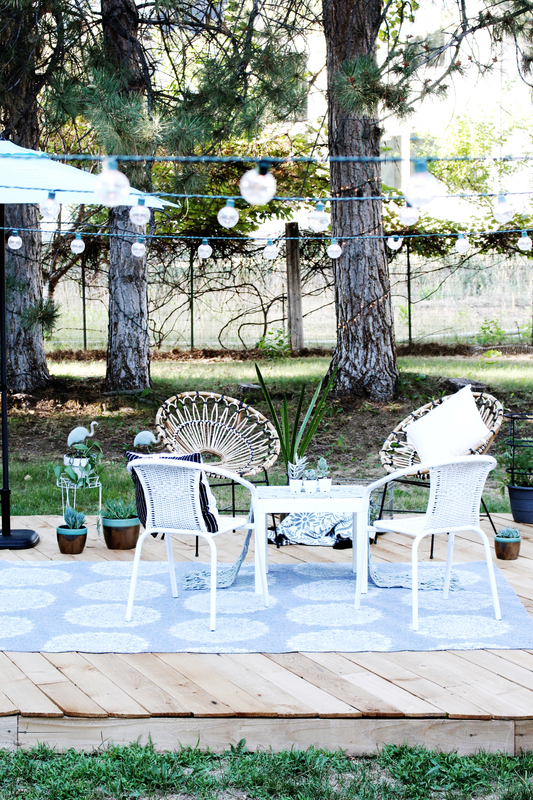 One item I would love to add to my DIY outdoor seating area is their Ora Slate Gray Sofa. It’s another fabulous modern piece with great midcentury character and outdoor durability. Outside of all the truly beautiful furniture that Article delivers directly to you (see ya salespeople!) are exceptionally fair prices, remarkably lower than you would find at a typical furniture retailer. For now, you can find me happily lounging on my pair of Daisies every night. 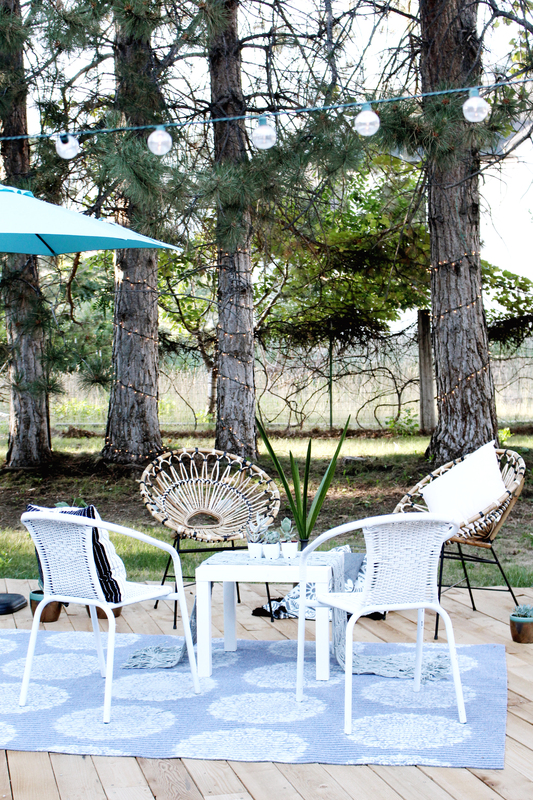 Or possibly across the deck on another chair so I can just look at and admire them :P You can snag your own rattan Daisy Lounge Chair for a crazy good price, and have all the bohemian 60s whimsy with modern sturdiness yourself-no DIY deck needed! We were fortunate enough to have these chairs given to us in exchange for our honest opinion in this blog post-all statements and opinions are my own.